Below are marine engineering questions and answers which you may likely come across someday. They seems simple. These are marine engineering questions and answers which may look simply but might be difficult to the young professionals. this post will help to build up a basic understanding and to become familiar to such question . 1. What factors affect the reliability of the starting process? The pressure of the starting air, fuel equipment, the standard temperature of water, oil, fuel. 2. What are the main to check when a diesel engine at low load conditions? · Reduce the amount of oil supplied to the lubrication of the cylinders. · Reduce or disable the supply of cooling water to the air coolers. · The duration of the diesel engine at its lowest speed is allowed for not more than one hour. 3. The main features of the diesel engine at full speed? b) it is recommended to operate the diesel engine in the overload mode for not more than 1 hour with the repetition of the specified mode in not less than 5 hours of operation. When servicing the diesel engine operating with overload, it is necessary to carefully monitor its basic parameters, the values of which should not exceed those specified in the manufacturer’s instructions for the overload mode. In this case, it is necessary to strengthen the monitoring of the operation of each cylinder, systems and diesel in general. 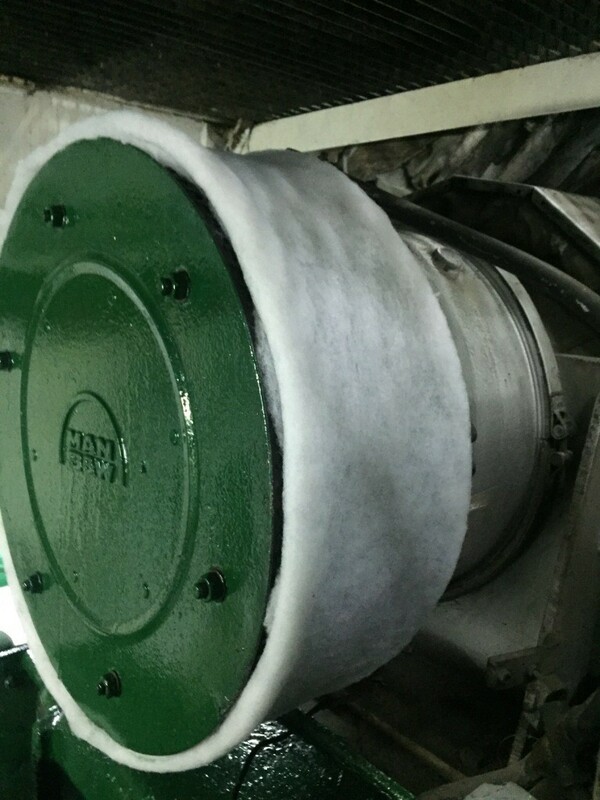 At least 15 minutes later, control the temperature of the accessible friction parts of the diesel engine, as well as monitor the occurrence of abnormal noises and knocking and take measures to eliminate them. 4. What is the “surge” of the Turbine? Turbine surge is a disruptive mode of operation, a violation of gas dynamic stability, a malfunction in the operation of a turbocharger, which is characterized by the appearance of a pulsating pressure that exerts a shock load on the impeller blades. 5. What is the main design difference between MAN-type motors from MS and Wartsila (Sulzer) such as RT-Flex? No camshaft and electronic engine management. 6. According to the requirements of the SOLAS Convention, for use on ships, fuels that have a flash point lower than? 8. What is mean indicator pressure? This is a conditional constant pressure, which, acting on the piston during one working stroke, performs work equivalent to the indicator work of the actual closed cycle. The average indicator pressure (P, kgf / cm2) is a conditional constant pressure acting on the piston during the working stroke. More questions and answers will be added on this post. Check back.